Riyad Mahrez scored the only goal of the game as Manchester City beat Bournemouth to return to the top of the Premier League table. It was a far-from-vintage performance from City, who faced a well-drilled Bournemouth defence, but Mahrez slotted home in the 55th minute to hand the visitors the win. 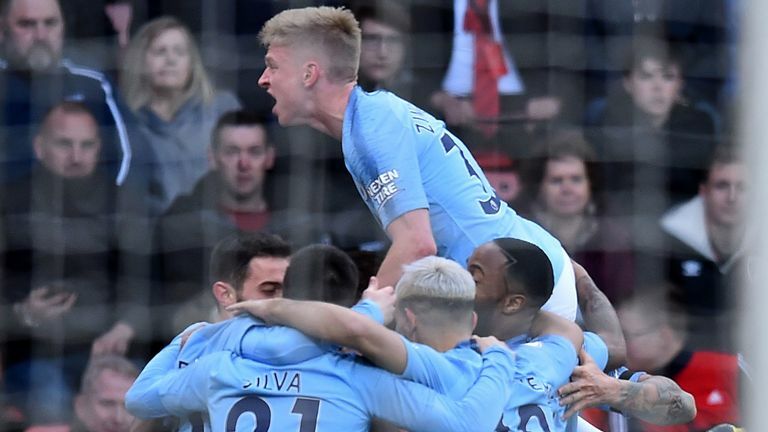 Pep Guardiola was dealt a blow, though, as Kevin De Bruyne was forced to come off just before the break after picking up another injury, with the manager saying after the game that it was "muscular". 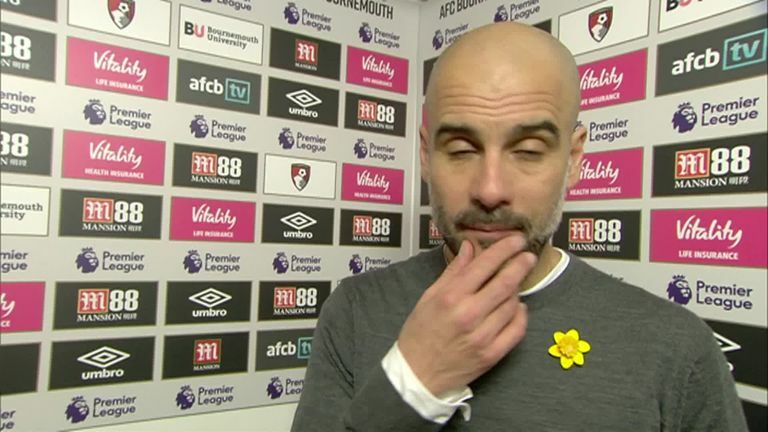 City go two points clear of Liverpool - who play Everton on Sunday, live on Sky Sports - at the top of the Premier League while Bournemouth remain in 12th and winless in five league outings. City dominated possession in the first half, but did not create many clear cut chances. They had their first real sight of goal in the 19th minute as Bernardo Silva slotted the ball to De Bruyne down the right-hand side. He then cut the ball back for David Silva in the area, but he could only pull his shot wide. 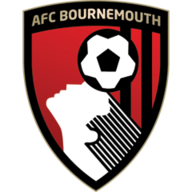 Bournemouth: Boruc (7), Clyne (6), Mepham (7), Ake (7), Smith (6), Simpson (7), Daniels (6), Surman (6), Brooks (6), Fraser (6), King (6). Subs used: Mousset (5), Ibe (n/a), Rico (n/a). Man City: Ederson (5), Walker (7), Stones (6), Otamendi (7), Zinchenko (8), Gundogan (6), De Bruyne (7), D Silva (7), B Silva (6), Sterling (7), Aguero (6). Subs used: Mahrez (7), Kompany (6), Jesus (n/a). Man of the match: Oleksandr Zinchenko. Just after the half an hour mark, Nicolas Otamendi could have put City ahead in style. De Bruyne delivered a corner and with Otamendi having peeled away from his marker, he attempted an audacious bicycle kick but he sent it just over the crossbar. City were dealt a blow on the stroke of half-time as De Bruyne went off injured. As he made a pass, he appeared to pull a muscle and signalled that he needed to be replaced. He looked disappointed as he made his way off, having already missed two spells this season with injuries, and was replaced by Mahrez. Bournemouth made three changes with Charlie Daniels, David Brooks and Jack Simpson coming into the XI. 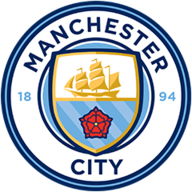 Man City also made four changes from their midweek game, bringing in Kyle Walker, John Stones, Bernardo Silva and Raheem Sterling. And it was the Algeria international who finally put Man City ahead in the 55th minute. After some good inter-link play between David Silva and Oleksandr Zinchenko, the former picked out a waiting Mahrez on the right-hand side. He then hit home on the angle, sending the ball into the bottom, far corner. The remainder of the game continued much like the first half - plenty of Man City possession but few clear cut chances. However, the visitors did go close twice in the final 10 minutes. In the 81st minute, Sergio Aguero floated a dangerous ball into the area that, although appearing to be intended for Mahrez, pinged onto the crossbar before going wide with Boruc getting a fingertip onto it. The Bournemouth goalkeeper made a wonderful save not long after as Mahrez headed in his direction from point-blank range, but Boruc pushed the effort away. Manchester City's 100% per cent-win record in eight games against Bournemouth is the best in English top-flight history. Bournemouth failed to record a shot against Manchester City, the first time they've failed to register an attempt in a Premier League game. Man City's David Silva has provided 80 Premier League assists - the joint-eighth best tally in the competition (level with David Beckham). Five of Riyad Mahrez's six Premier League goals for Man City have come away from home. 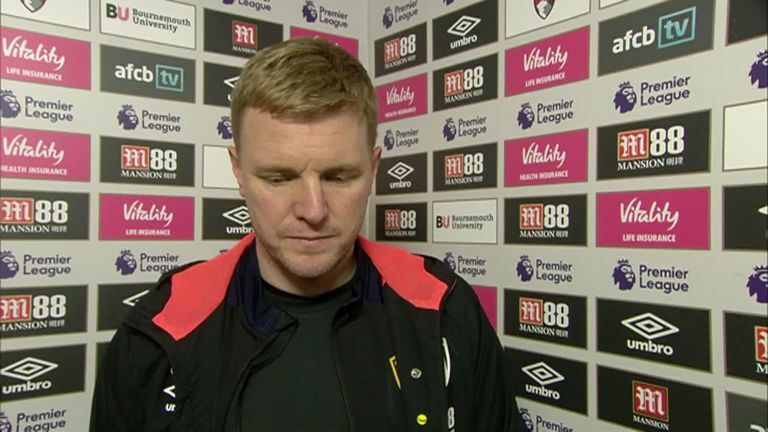 Eddie Howe: "I think we've got our respectability back after Arsenal. We showed that we can defend, that we are organised and we showed that we've got character and I think if we show those things between now and the end of the season, we'll be fine. "It was a tough game, we didn't have the ball today as much as that pains me to say because we want the ball, but even the most optimistic among the coaching staff knew we wouldn't have the ball. "Then it was about how we were going to defend, our ability to withhold pressure and get our organisation right and I think we did that for the majority of the game." Pep Guardiola: "It was incredible, maybe one of the best performances we have ever played in our time together. "There were ten players behind in every movement, there was the second balls, the set-pieces, the throw-ins - everyone was focused to control all aspects of the football so it's incredible. We played 25 games in 93 days, with one game every three or six days at that level, so it was incredible. I'm delighted, it is a joy and a pleasure to be part of this team." Despite Guardiola saying this week that he is considering buying back-up for Benjamin Mendy at left-back, it looks like he has a ready-made replacement in 22-year-old Zinchenko, who produced some superb attacking play. Admittedly, he had little to do in his primarily defensive role, but he produced some marvellous passes for his team-mates and was instrumental in the build-up for the winner, playing some neat stuff with David Silva. Speaking about Zinchenko after the game, Guardiola said: "He is playing top with the ball and without the ball. Usually players are playing because they deserve it and [he deserves it after] all of this season, and last season as well. When he plays, he is committed, smart, intelligent, he understands everything and with the ball, he has incredible quality." Bournemouth travel to Huddersfield in the Premier League next Saturday, while Man City have a rare midweek break before host Watford in the late kick off on March 9.